The press release posted here announces that CVS.com is now offering ScripTalk talking prescription labels through mail order to pharmacy customers with visual impairments. Jump to the press release. [Update: As of January 2016 prescriptions ordered through cvs.com may be sent either to a customer’s home or to her or his local CVS pharmacy.] 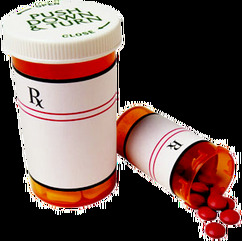 To request the labels with a prescription ordered through cvs.com, the number to call at cvs.com is 888-861-4363. Questions about the ScripTalk system should be directed to Envision America at 800-890-1180. This announcement is the result of Structured Negotiations between CVS, the American Council of the Blind, the California Council of the Blind and the American Foundation for the Blind. The organizations were represented by Lainey Feingold and Linda Dardarian. Read the settlement agreement about CVS’ Talking Prescription Container initiative. Woonsocket, Rhode Island (March 18, 2014) – CVS/pharmacy announced today that it now provides ScripTalk talking prescription labels for prescriptions ordered for home delivery through its online pharmacy, CVS.com. The ScripTalk labels provide a safe and convenient way to access information on prescription labels for individuals who cannot read standard print. The ScripTalk labels are free to CVS.com pharmacy customers who are blind or visually impaired. Customers can also obtain a free ScripTalk reader from Envision America that will enable them to listen to the information on the ScripTalk label. Today’s announcement is the result of collaboration between CVS/pharmacy, the American Foundation for the Blind, American Council of the Blind and California Council of the Blind. These groups applauded CVS/pharmacy’s actions. “This agreement is a positive step that allows for a greater level of privacy, safety, and independence for blind and visually impaired Americans of all ages who take prescription medications,” said Kim Charlson, president of the American Council of the Blind. “The California Council of the Blind applauds CVS’s willingness to offer access to the information on prescription medication labels. As a result of this initiative, persons who are blind or visually impaired who use CVS mail order to fill their prescription needs will have the same direct, and independent access to label information as do sighted customers,” stated Donna Pomerantz, President, California Council of the Blind. CVS/pharmacy, the retail division of CVS Caremark Corporation (NYSE: CVS), is America’s leading retail pharmacy with more than 7,600 CVS/pharmacy and Longs Drug stores. CVS/pharmacy is reinventing pharmacy to help people on their path to better health by providing the most accessible and personalized expertise, both in its stores and online at CVS.com. General information about CVS/pharmacy and CVS Caremark is available at http://info.cvscaremark.com. American Council of the Blind is a national consumer-based advocacy organization working on behalf of blind and visually impaired Americans throughout the country with members organized through seventy state and special interest affiliates. California Council of the Blind is the California affiliate of the ACB and is a statewide membership organization with 40 local chapters and statewide special interest associations. ACB and CCB are dedicated to improving the quality of life, equality of opportunity and independence of all people who have visual impairments. Their members and affiliated organizations have a long history of commitment to the advancement of policies and programs which will enhance independence for people who are blind and visually impaired. More information about ACB and CCB can be found by visiting www.acb.org and www.ccbnet.org. The American Foundation for the Blind (AFB) is a national nonprofit that expands possibilities for people with vision loss. AFB’s priorities include broadening access to technology; elevating the quality of information and tools for the professionals who serve people with vision loss; and promoting independent and healthy living for people with vision loss by providing them and their families with relevant and timely resources. AFB is also proud to house the Helen Keller Archives and honor the over forty years that Helen Keller worked tirelessly with AFB. For more information visit AFB online at www.afb.org.